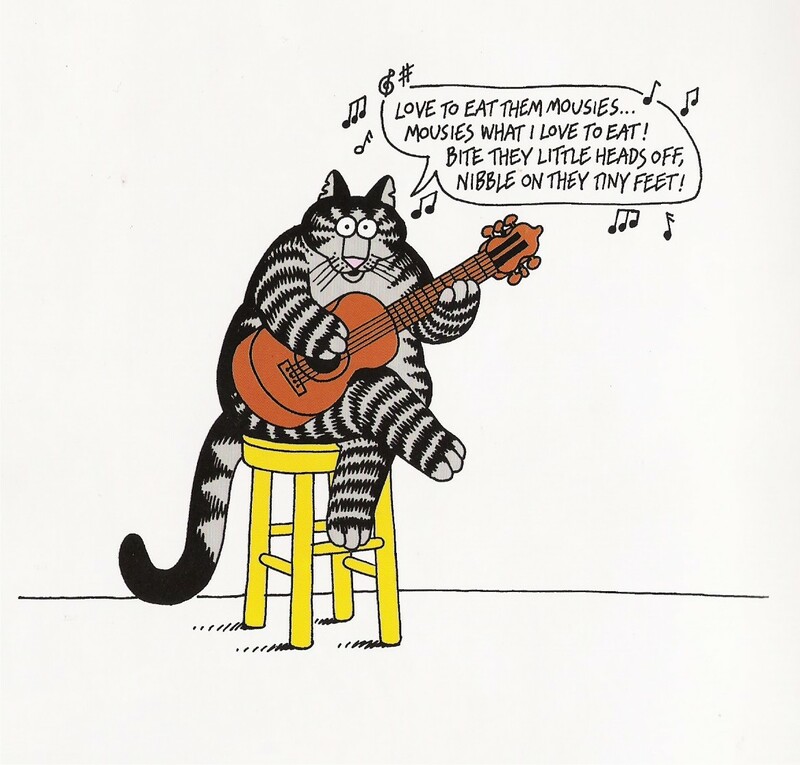 I never knew if B. Kliban was a man or a woman, but damn if I didn't know the name, and associate it with his oh-so-distinctive cat art that was everywhere in the 1980s. His cats were everywhere. Mugs. Greeting cards. Stationary. It was hard to go to a mall in the 1980s and not see it somewhere. 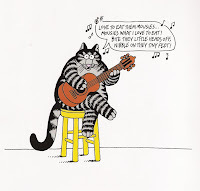 Do you remember Kliban's cat art? I have been a HUGE HUGE HUGE Kliban fan for decades, but not so much for the cat cartoons as his other cartoon books like "Whack Your Porcupine", "Never Eat Anything Bigger Than Your Head" and "Two Guys Fooling Around With The Moon". If you ever wondered where Gary Larson stole...er, got his ideas, the answer is B. Kliban. His whole drawing style is completely lifted from Kliban, and so is a LOT of his humor. I still have a B. Kliban kitty placemat, covered in B. Kliban cats, that I use under my cats' food bowls. I can't believe it's lasted this long and it's still in good shape! Oh, yes yes yes. Loved Kliban cats, and shared that love with my best friend and her wonderful mom. Thanks for the happy memory rush. Nibble on they tiny feet." Never understood the "they" part. Still don't. i used to sell the shirts in Hawaii in the late 90's. A company called crazy shirts sold them at one point, the cat was real big with the Japanese tourists i think they are still sold here.